What is slightly surprising about Saturday’s clash between Anthony Joshua and Alexander Povetkin, is the lack of a solid undercard. As of last week, there were only two big matches announced. A third has now been added, but I guess the attraction is the World Heavyweight Champion, and anything else is considered a bonus. Here I preview the appetisers to the main course at Wembley Stadium this weekend. 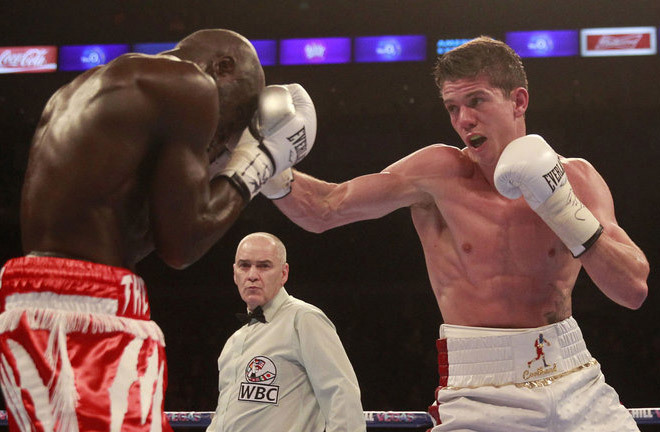 The chief support will see Luke Campbell (18-2, KO15) finally rematch Yvan Mendy (40-4, KO19), the man who shockingly handed the Hull man a first career defeat in December 2015. The match up is a final eliminator for the WBC Lightweight Title, currently held by Mikey Garcia. Since suffering defeat at the hands of Edis Tatli in Finland in a challenge for the European Title in April 2015, Frenchman Mendy is unbeaten in his last ten outings. This includes a defeat of Campbell at the O2 Arena, where he knocked the 2012 Olympic Champion down in the fifth round, before earning a unanimous decision on the judges’ scorecards. 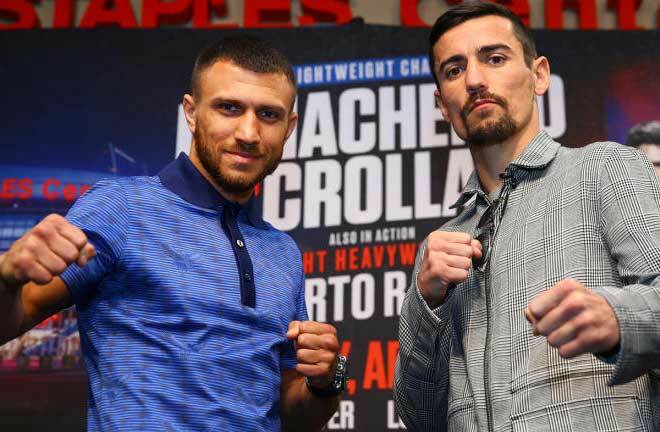 Mendy also took the unbeaten record of Francesco Patera (unanimous decision), who meets Newcastle’s Lewis Ritson for the European Lightweight Title next month, in May 2016. Last time out, in December last year, Mendy knocked out Jesus Arevalo in eight rounds. Campbell on the other hand, since the Mendy reverse, has mixed in and around world class. He picked up the Commonwealth Title in March 2016, stopping Gary Sykes in two rounds. 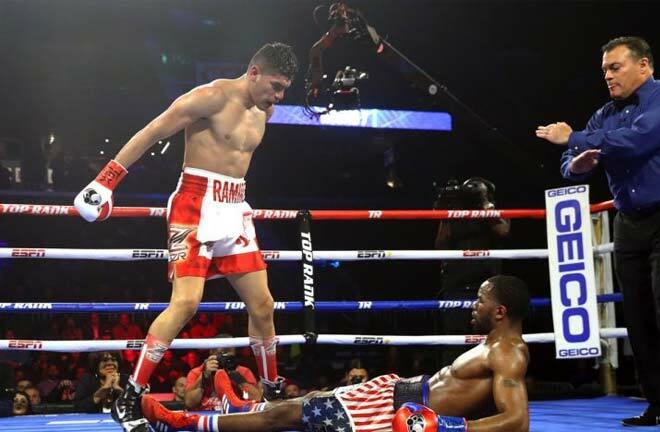 Four fights later he stopped Darleys Perez in nine in a WBA Title eliminator. This granted him a shot at the then divisional kingpin in Venezuelan, Jorge Linares in September of last year. Despite being down and cut in the second round, “Cool Hand” gave a great account of himself, winning on one card, but eked out by one and two points respectively on the other two. Momentum has been slow since for Campbell in anticipation of a WBC Title opportunity. He has fought once this year, when stopping Troy James in the fifth of a six rounder in May. I think Campbell has grown into a world class contender, and was still very green when he first met Mendy. It will be interesting to see what adjustments he has made alongside new trainer Shane McGuigan. 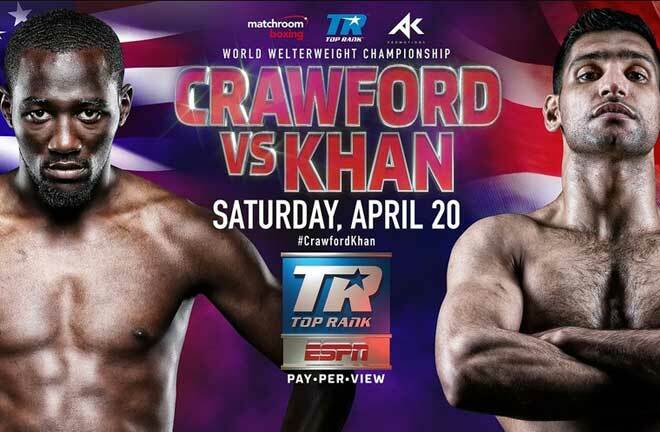 I feel Campbell will show his class, and handily outpoint the Frenchman on Saturday night. 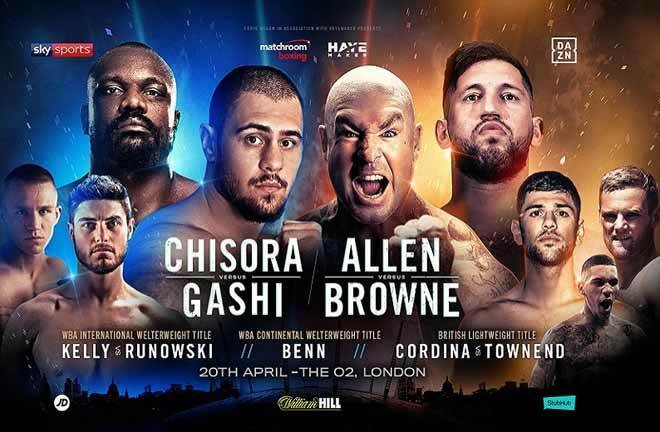 A good domestic clash at Cruiserweight sees Matty Askin (23-3-1, KO15) defending his British Title for the second time as he meets the fast rising Laurence Okolie (9-0, KO7). Askin is in the form of his career. Since losing to Ovill McKenzie for the British and Commonwealth belts in March 2015, Blackpool’s Askin is unbeaten in his last seven fights (one technical draw). In three consecutive fights, he took the unbeaten records of Simon Barclay (TKO2), Tommy McCarthy (Unanimous decision) and Craig Kennedy (KO6), who he defeated for the vacant British Title in Cardiff. Askin has made one defence since, in March this year, ending the career of Scotsman Stephen Simmons with a brutal body shot in the second round at The York Hall. Is it too early for Okolie? The same venue is where Laurence Okolie picked up his maiden major Title in June, stopping Luke Watkins in the third round to lift the Commonwealth Title. Okolie has since vacated the belt in order to take on Askin. After seven fights Okolie was thrown in at the deep end, and a grudge match with fellow unbeaten prospect, Isaac Chamberlain in January this year. 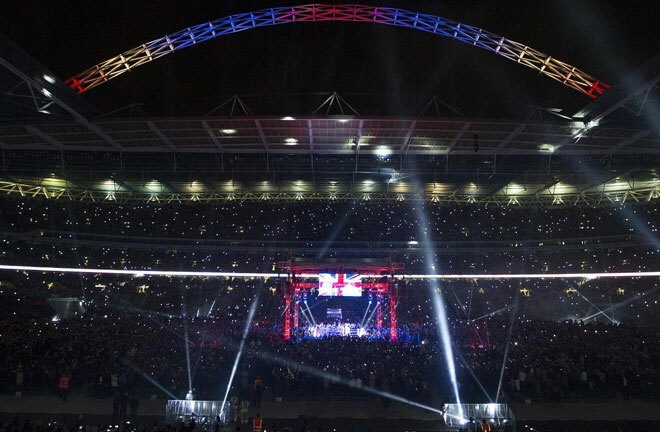 The fight was ambitiously set for the O2 Arena as a main event match, and Okolie, after knocking down Chamberlain twice in rounds one and six, prevailed widely on the cards in a dour affair. 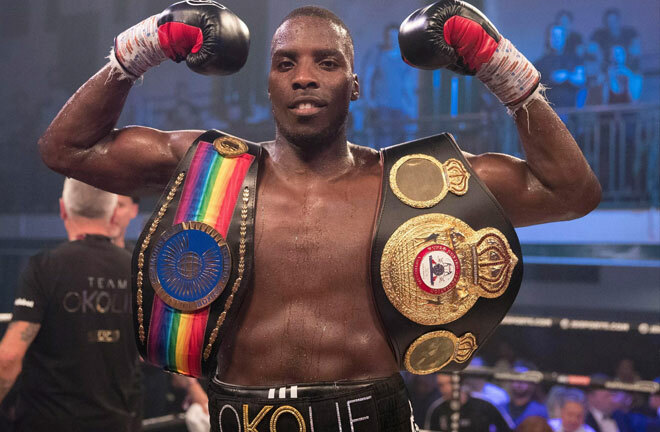 Despite Okolie’s lack of experience, and Askin’s Indian summer of his career, I think Okolie will be far fresher and hungrier that the Northerner. I expect Okolie’s accumulation of punches to wear down Askin at some point after the halfway mark. The late addition to the card could have the makings of a watch behind the sofa affair. 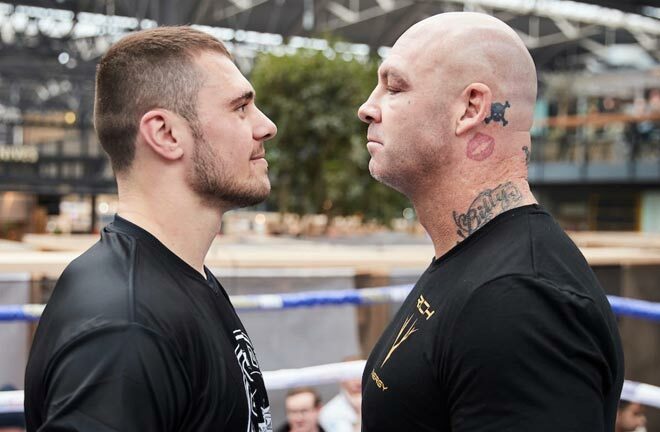 A fighter always fraught with danger in Liverpool’s David Price (22-5, KO18) has agreed to take on the largely unknown Russian, Sergey Kuzmin (12-0, 1NC, KO9) in a ten rounder at Heavyweight. Kuzmin has beaten the usual journeymen up to this point, but has a 75% knockout percentage, which will obviously set alarm bells ringing. Price is coming off a heroic effort against the main eventer this Saturday in Alexander Povetkin. Only the ropes and the end of the round seemingly stopped Price from pulling off the upset, but Povetkin regrouped and brutally knocked out the defenceless Price in the fifth. Price has been knocked out every time he has lost. Back to back defeats to Tony Thompson in 2013, as well as to Erkan Teper (L KO2) in a controversial fight in July 2015 where Teper failed a drug test but the result still stood, and to Christian Hammer in February last year, where Price alarmingly ran out of gas, stopped in seven. There is no doubt Price has the talent and attributes, but this has so far failed to transfer from the amateur to the paid ranks. I will tentatively pick Price to triumph via knockout within six rounds, but would be far from surprised if the Russian pulls off a brutal knockout win of his own. Shakhram Giyasov (4-0, KO3) is the only other attraction on the bill barring any late notice tick over fights. The Uzbek 2016 Olympic Silver Medallist has a six rounder on the card.